By listening to you and working with you throughout your building project, Redwood Builders will ensure you get exactly what you want from your new build or renovation. And because of our experience as both builders and project managers, you can be sure your project will be completed on time, on budget, with a high quality finish that will stand the test of time. AJS Construction is run by Wellington local, Andy Sims. Andy is a Licensed Building Practitioner with over 11 years’ experience in the building industry. Our focus is to deliver high quality work, on time and within budget. We have great relationships with a number of other trades, so can either recommend reliable tradespeople to assist, or arrange it all for you. Bear Construction is a locally based building company, established in 2012, owned and operated by Phil Ashton. We are an independent, modern, innovative and progressive company who bring our knowledge and experience to get the right result for our customers. We offer a comprehensive range of services, specialising in residential alterations and renovations. 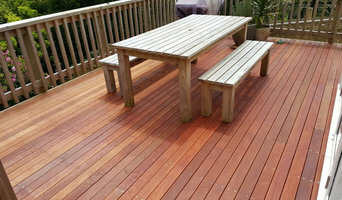 Taking on jobs anywhere in the Wellington region, we are focused on quality, control and finish. Our team is made up of practical, efficient tradesman with a proven track record of success. At Bear Construction, we pride ourselves on our attention to the needs of our clients to bring them exactly what they're after. We believe in good, honest communication to complete jobs on time at a competitive rate. We specialise in new homes builds as well as extensions and alterations to your existing home. We enjoy providing you with our knowledge and expertise and take pride in bringing your dream renovation to completion. Our commitment to giving you a quality building experience at affordable prices comes backed with a 5 year guarantee. We are New Zealand's 1st trade-based franchise who have been working in this industry for 15 years. We're a relatively young company enjoying rapid growth due to our commitment to providing a quality building service at a competitive price, as well as excellent customer service! We have a close-knit, hard working, friendly group of guys - you'll often find us working far too long hours just to get the job done properly and to make sure we leave our sites tidy - and our customers happy. We are aiming for continued growth in the years to come and forging a reputation as a reliable and conscientious building company. Form & Dwell are a full-service building practice forming bespoke residential, retail and hospitality environments. Our approach is highly collaborative. We listen first and work closely with our clients and partners to explore concepts, craft surfaces and build environments that inspire and elevate the everyday. Our ethos is to add value and functional beauty to every space. Whatever the scale or character of a project, we strive to break the mundane but not the budget. With a meticulous eye and highly skilled hands, Form&Dwell translates detailed ideas into functional results from start to finish. If you would like to discuss your next project, please enquire. Abode Homes - Experienced & Registered Master Builders building affordable family homes with style. We service the greater Wellington region including Kapiti Coast and Wairarapa. We offer an exclusive range of house plans from smaller family homes through to larger 2-storey houses. Select from one of our modern House Plans and Designs to build your new home. 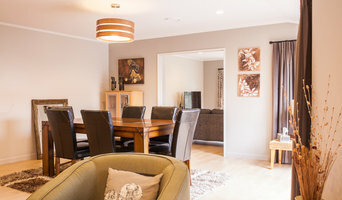 Not sure what you want, then visit our Show Home at Aotea. Our Build Consultants will happily talk to you about your requirements and how we can help. Pencarrow Cabins produce high quality portable living spaces that don’t compromise on style or versatility. Pencarrow Cabins incorporate architectural design with clever engineering, resulting in portable buildings that provide ultimate flexibility to suit changing needs. Constructed undercover in Wellington, using a hybrid of prefabrication and traditional building approaches, Pencarrow Cabins produce smart and sustainable portable buildings that reflect the changing face of accommodation need in New Zealand. With a focus on customer service their team of dedicated builders and trade staff will ensure you get the right outcome. 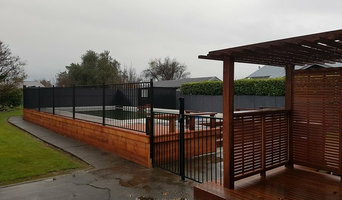 Scotty's Construction have the expertise and versatility to undertake a variety of residential and commercial projects. Delivering quality craftsmanship and on-going transparent communication are paramount for our team of experienced carpenters and reputable sub trades. Scotty's has worked with some of Wellington's finest architects and designers, taking a professional and comprehensive approach while respecting the idiosyncrasies of each new building project. At Matrix Homes our vision is to produce quality, affordable, and contemporary homes New Zealand wide. Our homes are built to a very high standard to suit most areas of New Zealand, with upgrade options available for coastal zones and specific engineered design wind zones. Matrix Homes are family friendly and have a contemporary design with indoor/outdoor flow with wide sliding door(s) and full height windows. The cladding is Kiwi Steel in grey friars and the option of painted weatherboard or cedar on the front of the house. Our homes maximise the use of space with large queen sized bedrooms and generous living areas. You can also choose upgrades to personalise your new home. We standardise our homes to keep building costs down and offer single modules that can be purchased on their own or joined together to create a larger home to suit your site, budget, and needs. There are also investor units suitable for rental properties. 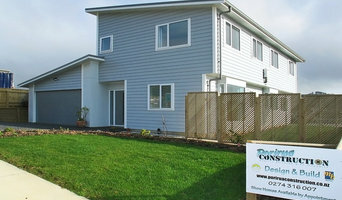 We build our homes in our factory in Upper Hutt and then transport the finished home to site. This allows us to build in a more productive and cost effective way. This also means our build time is much faster than traditional on-site builds - we can build your home in as little as 10 weeks! Adrian Reid Builders work to very high standards and we pride ourselves on being able to rise to a challenge. Our problem-solving skills are a huge benefit, especially when working on renovation and alteration of older properties. We cover projects in the Greater Wellington area. Whether you’re undergoing home renovations or building from scratch, hiring the right home builder is essential. Your choice will determine the quality of craftsmanship, as well as how high your stress levels rise! 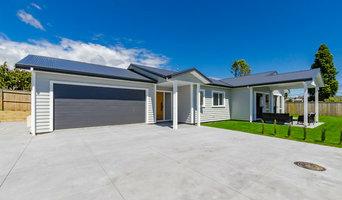 A home design or building project is a huge and multifaceted undertaking, so it’s important to find a local Porirua builder you can trust to bring your vision to life and keep the process under control. The Houzz professional directory of home builders is a great starting point to choose the right builder for your needs. What exactly do Porirua home builders do? Before any nails are hammered down, construction companies perform market research to determine whether the prospective site for a new home in Porirua makes sense. They also survey the land to make sure it is suitable for construction, and obtain any necessary permits. Scroll through this page to find contractors in Porirua. Then, click on a professional to browse photos of their latest projects and see how their work compares to the scope of your project. Read reviews to see how other homeowners rate their work, and message the home builder or construction company directly to ask any specific questions.